The gardening word for 2016 is inconsistent. It’s been too cold and it’s been too hot. It’s been too dry and then we get four and half inches of rain in a few hours. Critters have tested my patience. 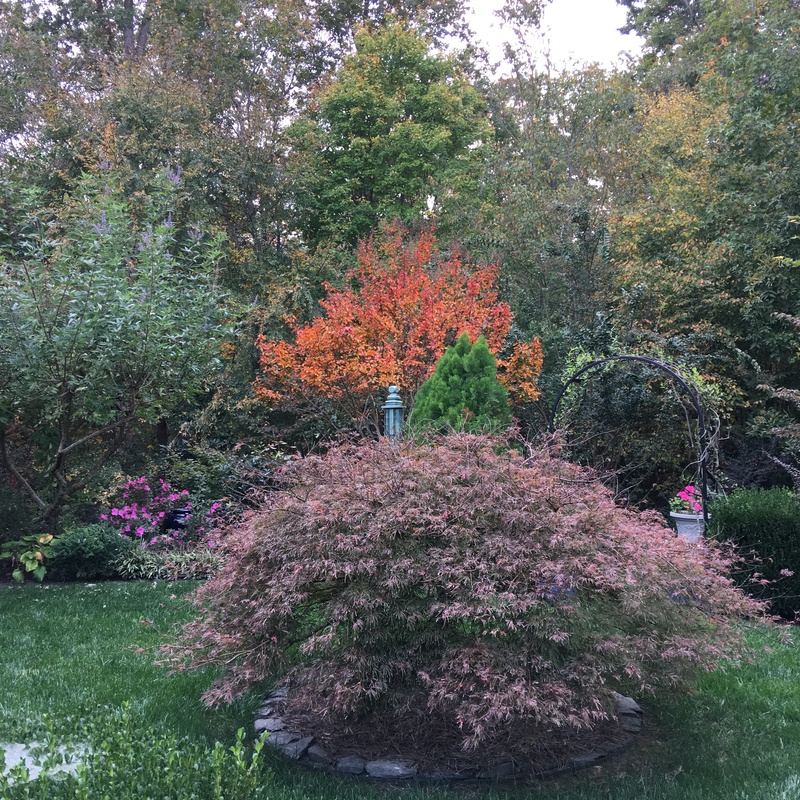 The garden, however, continues to flourish, and my Arranger and I are looking forward to 2017 and the joy of seeing in bloom our irises, peonies, hydrangeas, vitex, clematis, spirea, azaleas, crape myrtles, and ……. As the years pile up (I am most grateful) and the back gets weaker, I have been changing the garden to require less maintenance. I am still pleased with what we have and optimistic about its future. Let me share with you some monthly memories of 2016 in some of my favorite photographs. 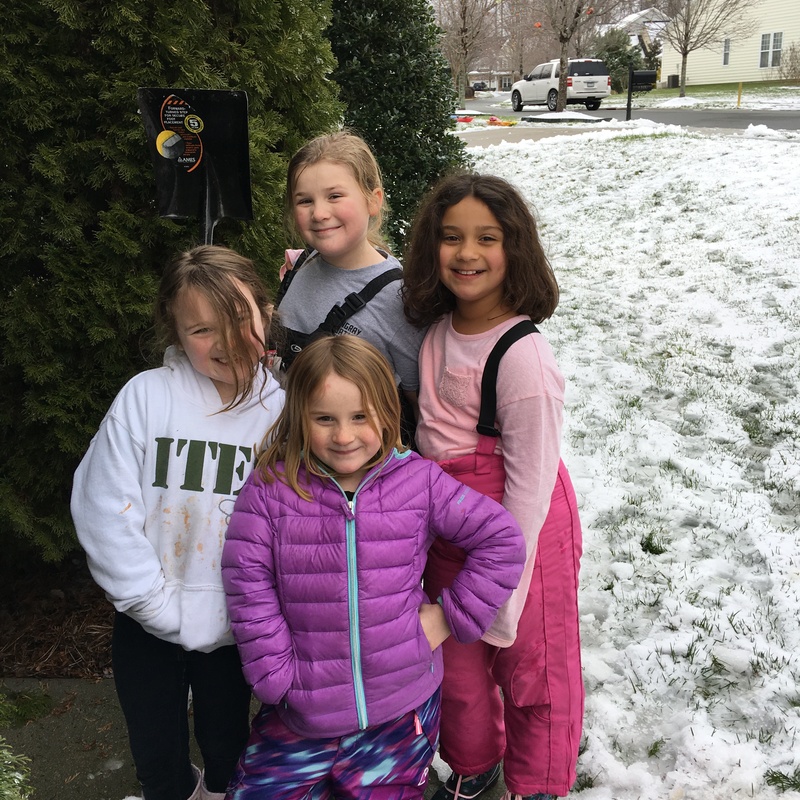 The neighborhood girls came to our rescue when it snowed in January; they shoveled out our walk and driveway. Sweet! 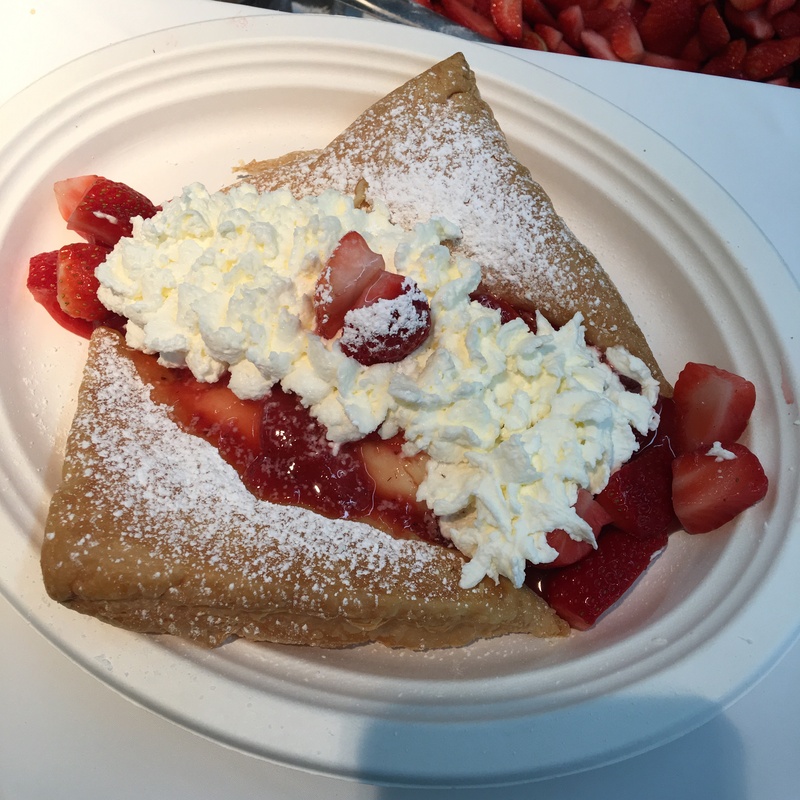 Our annual February visit to the Charlotte Home and Garden Show gave us visions of plants and landscapes and all kinds of things to buy. This was clearly one of the treats. Also sweet! 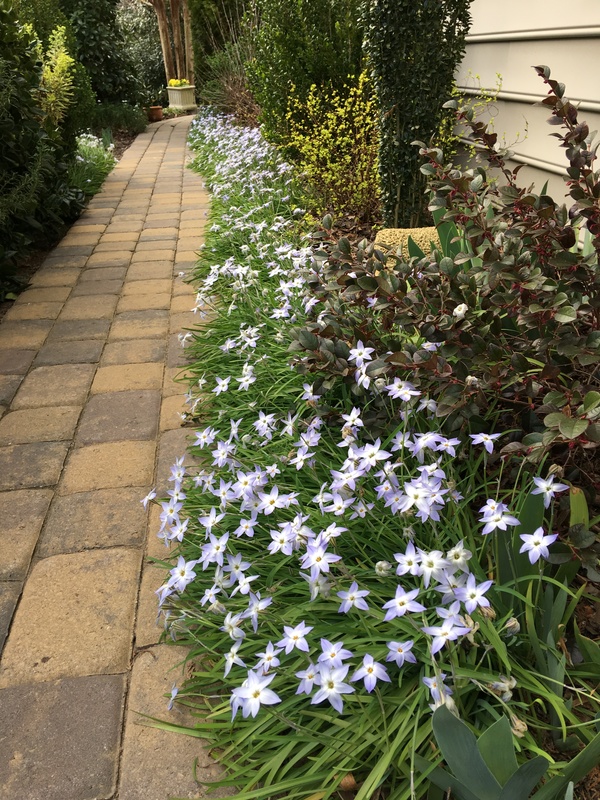 Among the first bulbs to bloom in number in March are the ipheion along the path on the side of the house. They continue to multiply like crazy and are easy to divide and move around. Each year I can hardly wait until the peonies bloom in April. 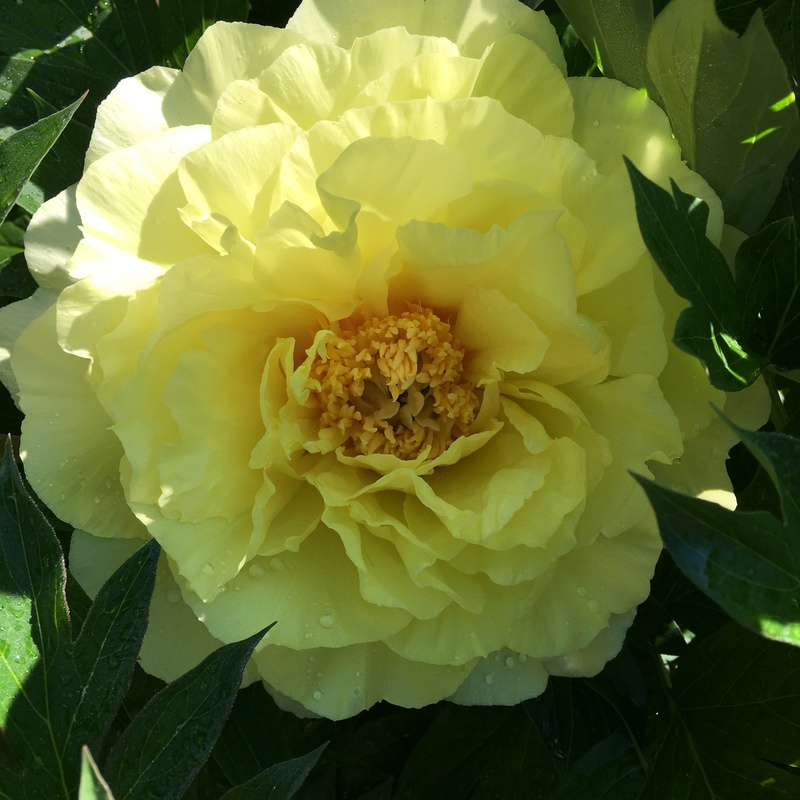 My new favorite is ‘Bartzella,’ one of the “new” Itoh peonies, which are crosses of herbaceous and tree peonies. More peonies…the old fashioned kind…opened in May. Many of them are heirlooms that came from my grandmother via my Aunt Martha. 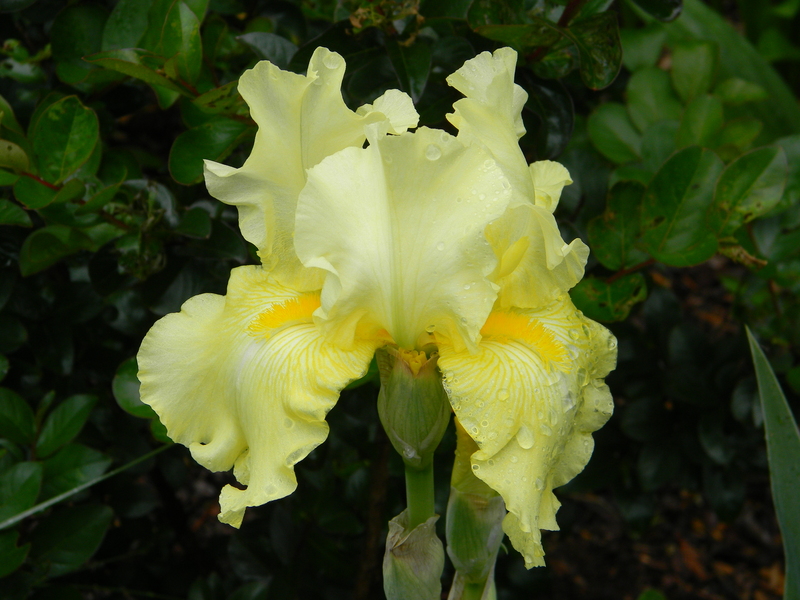 A striking bearded iris, ‘Sunny Disposition,’ brightened up the garden in June…and it bloomed again later in the year. I am grateful to my gardening/writing buddy Stepheny for introducing me to these new irises. 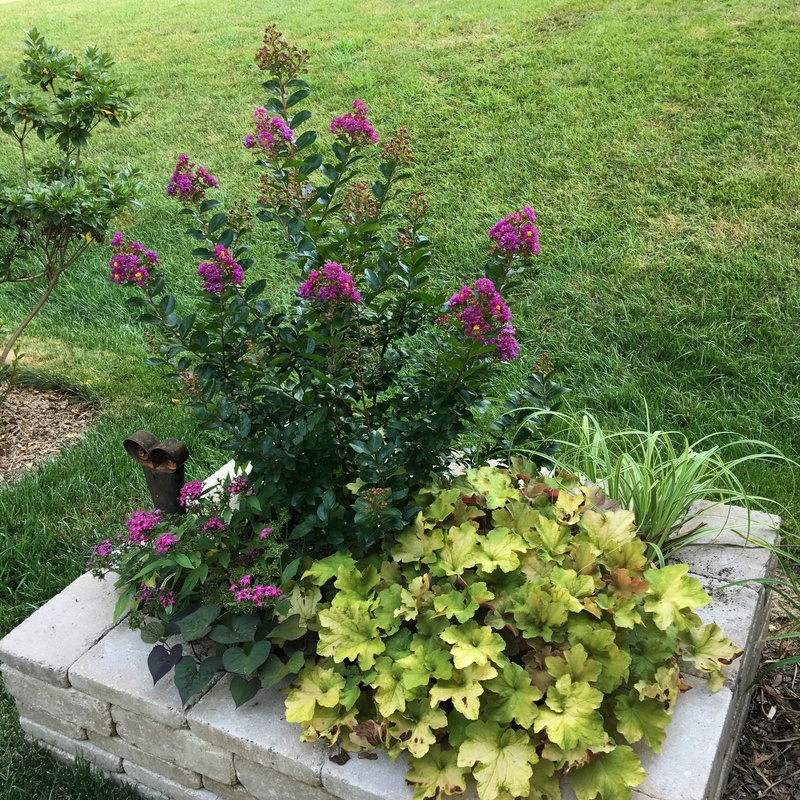 I built this planter last summer, and it was in its glory this July…crape myrtle, heuchera, carex. 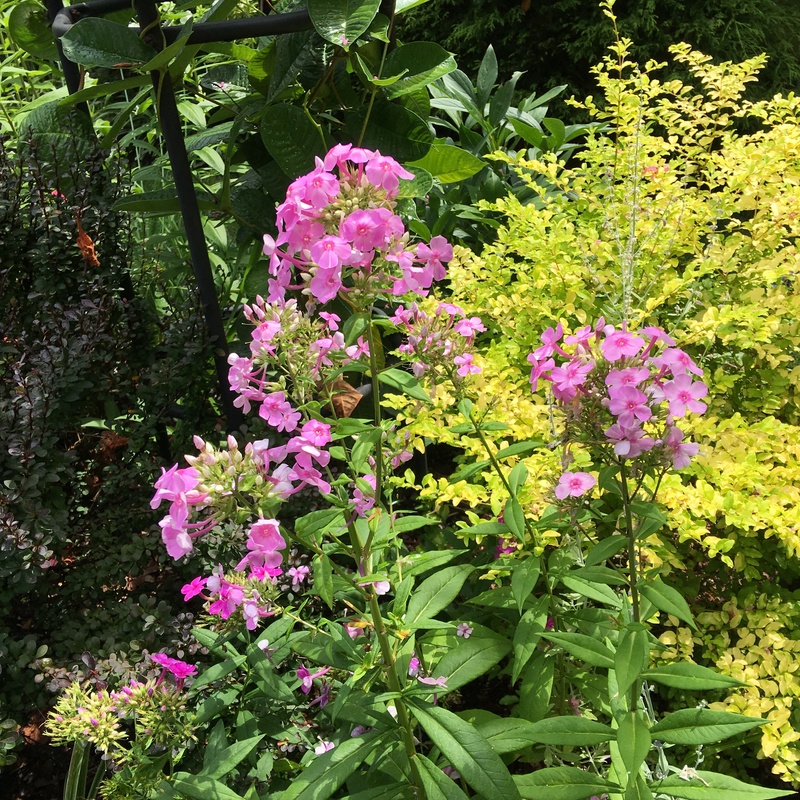 Just plain old garden phlox lights up the garden in August. This particular batch has moved over ten times in three gardens and is still going strong. Deadheading the first blooms reliably produces a second flush that carries on into fall. How can I ever forget this very special day in September when my first grandchild was married. 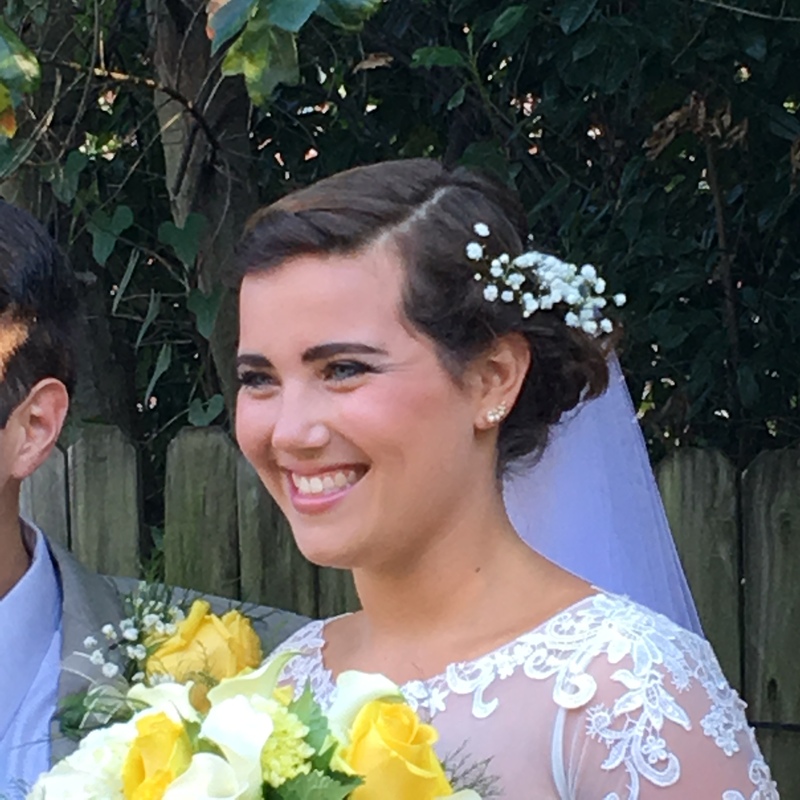 Of course, she was the most beautiful bride ever…I mean ever! More beautiful than any flower in my garden. 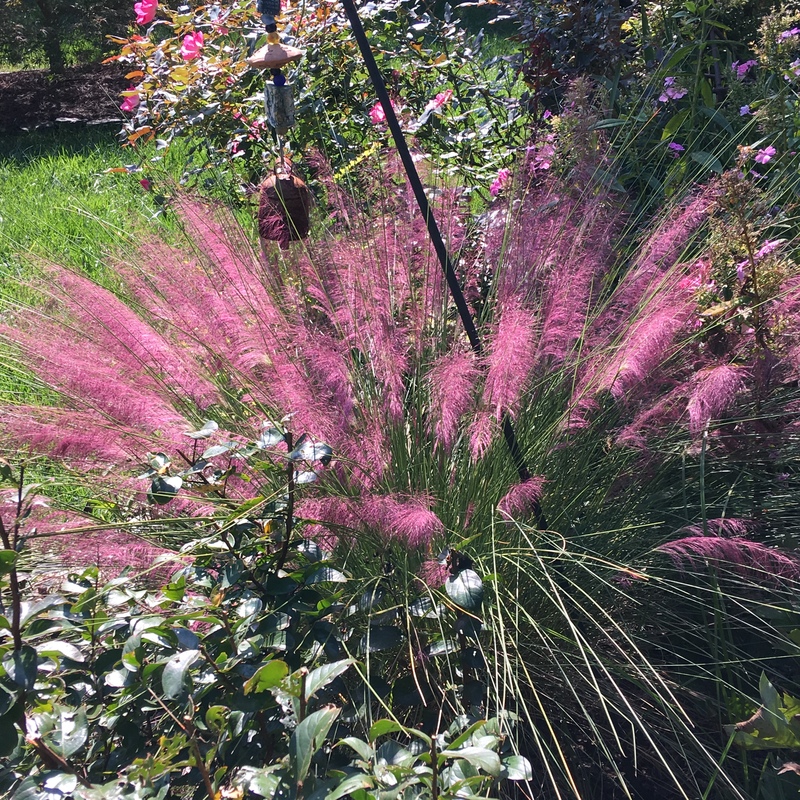 Pink muhly grass has become one of my favorites in our garden well into October. It may lose its color to tan, but it makes a statement even in winter. Probably my favorite Crape Myrtle is ‘Catawba.’ Its summer color is fantastic, and it can make a November day magic. Who would believe that you can bring in cut flowers from the garden in December? 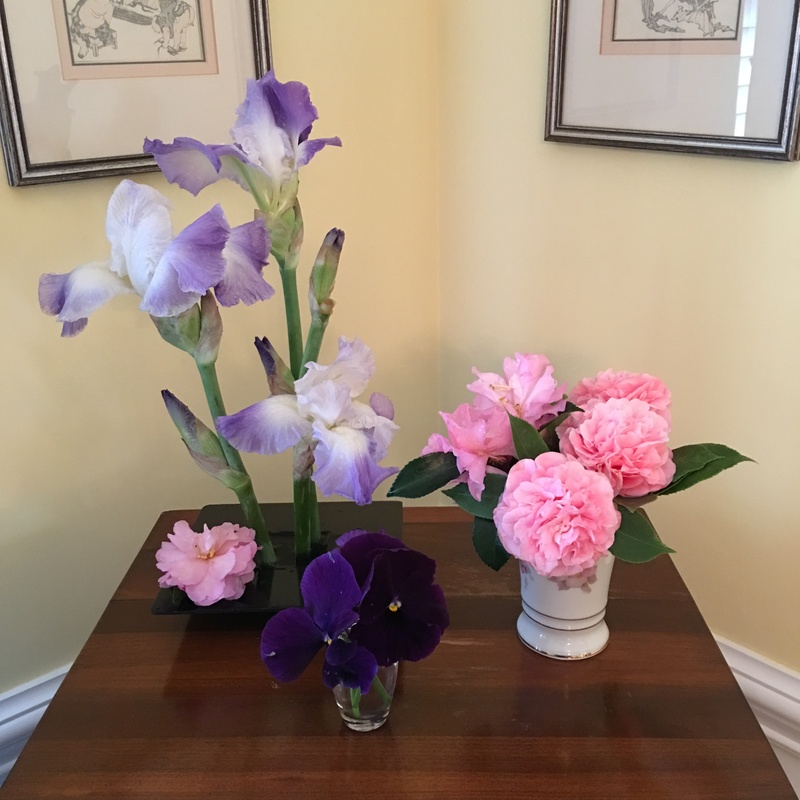 Thanks to reblooming iris ‘Clarence’ and Camellia japonica ‘Debutante,’ these were some of the many Vases on Monday that my Arranger created this year. 2016 was a good year for us. I am proud to say that I marked one thing off my bucket list: I finished reading ALL of Shakespeare’s plays…every last one! This entry was posted in Gardening and tagged Bartzella Itoh peony, bearded iris Sunny Disposition, bucket list, Camellia japonica 'Debutante', Carex trifida Rekohu Sunrise, Catawba crape myrtle, Clarence bearded iris, crape myrtle, heuchera Caramel, ipheion, peonies, pink phlox, pink Muhly Grass, Shakespeare. Bookmark the permalink. A great achievement – both creating such a lovely garden and readling all those plays! Happy New Year John! Thanks, Cathy. It probably took me about six year or more to finally get through all the plays. Now, of course, I can’t remember them all. Happy New Year. Hi John, you have had a wonderful 2016. Your granddaughter is beautiful. I like all the gardening you’ve done. Wow, what an accomplishment to finish reading all the Shakespeare plays. Have a Blessed, Happy 2017! Many thanks for your encouraging comment. Hope you have a wonderful 2017. Thank you for your encouraging comment. Have a wonderful 2017. Cheers to the beautiful bride and a good year. Best wishes for more of the same in 2017! Thanks, Marian. And very good wishes to you and yours for the coming year. Wonderful post. Always a joy to see. Nice way to wrap up the year with this great review. 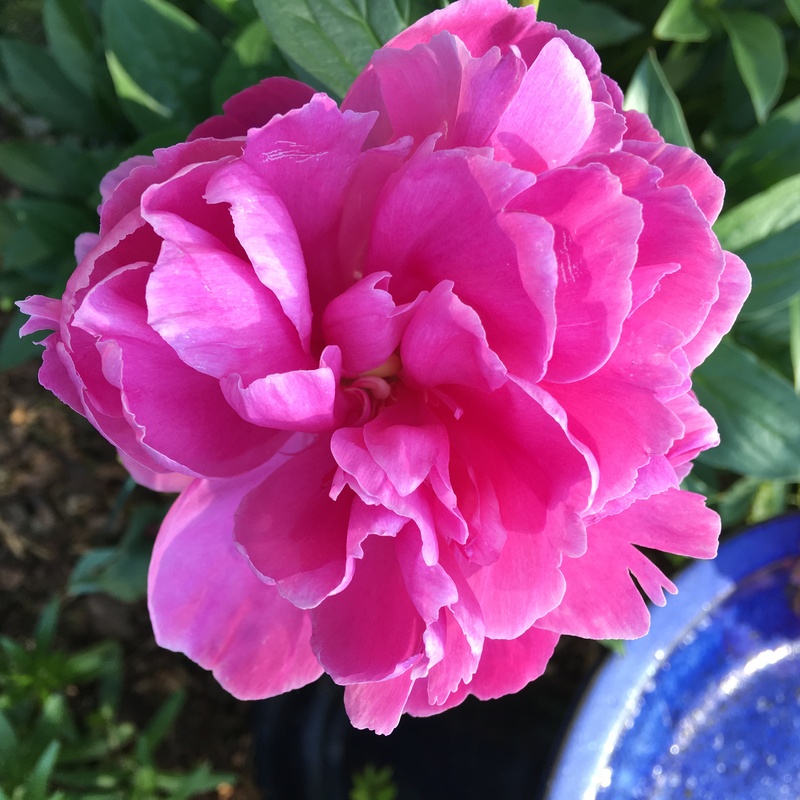 ‘Bartzella’ is a lovely peony and having the heirloom one is very special. Happy New Year! Thank you, Susie. I hope to be able to visit your garden in 2017. Happy New Year. I’m taking notes on flowers to add to my gardens — Happy New Year! So many flowers, so little space. Happy New Year. Thank you, and a wish for a Happy New year to you. Let’s hope for ‘consistency’ in the coming year…the right amount of rain, the right amount of sun, but let’s all wish for an abundance of peace and happiness. Happy New Year…and yes, your granddaughter is beautiful! Thanks and good luck in your nursery this year. Thank you for sharing! Happy 2017 to you and yours! I am so prejudiced about granddaughters. But I think you understand. Happy New Year. Always a delight to view your garden treasures. Blessings for your new year! Thank you, OH. And blessing back at you for 2017. Your review of the highlights of 2016 does a great job of washing away any doubts that the garden always shines through. Those are the reasons that gardening is so enjoyable! I’m in complete agreement with you. I am grateful that the gardening bug bit me…hard! What a lovely post…I enjoyed your garden photographs and must say your grand-daughter is the prettiest of all. Happy New Year, John! Best to you and yours and, especially, your fabulous garden. And I wish you as well a Happy New Year. Thanks for your comments. It was indeed a very good year. Thanks. Hi John, you have had a wonderful 2016. Your granddaughter is beautiful. I must say you do not look that old to have first granddaughter who got married. The garden and all the photo’s are so beautiful. I imagine 2017 will be as blessed as last year. I hope you will forgive my for using a photo that is “several” years old. No falsehood intended. Thank you for your sweet comment. Ah, yes:) You did have a wonderful 2016:) Your garden sounds wonderful. Love that planter..and way to go with that entry on your bucket list:) That’s quite and accomplishment. Your grand daughter is a beauty. A fabulous 2017 to you and thanks for your support in the past year. I’m so glad you like the 2016 review. Thanks for your interest. Have a great 2017.Will see you in the blogosphere. Thank you for your thoughtful comment. And a Happy New Year to you and yours. Greetings John, you have had a great 2016. Your granddaughter is lovely. I like all the cultivating you’ve done. Stunning, what an achievement to wrap up all the Shakespeare plays. Have a Blessed, Happy 2017! Many thanks for your good wishes. Happy 2017 to you and yours. Beautiful!! Your first grandchild is a stunning bride! Thank you, Crystal. I have always had that feeling about the young lady.